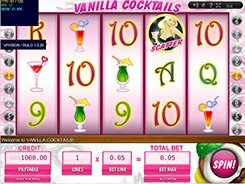 Burning Cherry is a 5-reel 5-payline video slot developed by Gamescale. 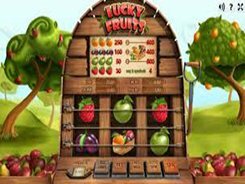 The symbols used on the reels –fruits, berries, horseshoes and stars – seem to be hung inside a big red-hot stone oven. Clicking the Spin button fuels the fire and when the fire dies out, a new combination of symbols appears. 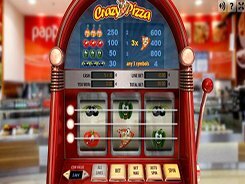 There are two adjustable betting options that you may change between rounds, namely, the number of active lines (1 to 5), and a bet line ($0.1 to $2), thus, a maximum bet is $10 per spin. If you want to make the reels spun automatically, you may click the Autospin button to enable the feature. 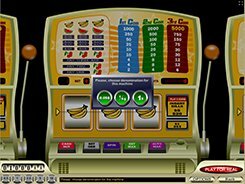 The highest prize you may win in the game is 5000 coins, or $10,000 on the maximum stake; this is awarded for hitting five Horseshoe symbols on an active payline. The slot features a scatter symbol depicted by the Metal Star. Collecting five scatters in any position on the reels pays out your total bet times x50 ($500 if playing at max). 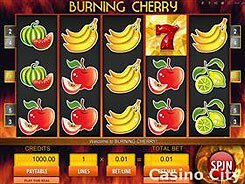 Apart from the scatter, Burning Cherry has no other added features, so its fairly simple gaming format will take the fancy of the players who are new to video slots. PLAY FOR REAL MONEY!